Rehearsal of the "Colors of time" project. Jean-Claude Fasel (conductor), Heiri Känzig (double bass), Matthieu Michel (tp) and André Ceccarelli (drs). 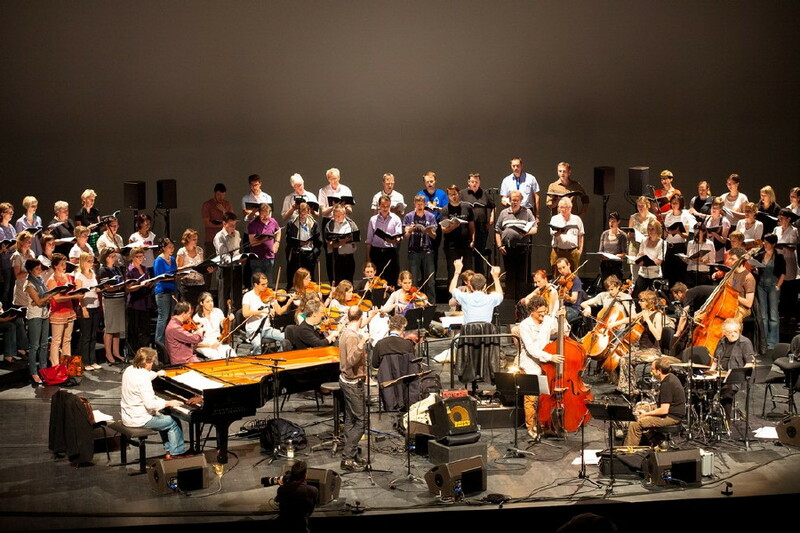 The "Accroche-Choeur" and the strings of the Orchestre de Chambre Fribourgeois. Fribourg (CH), May 9, 2012.